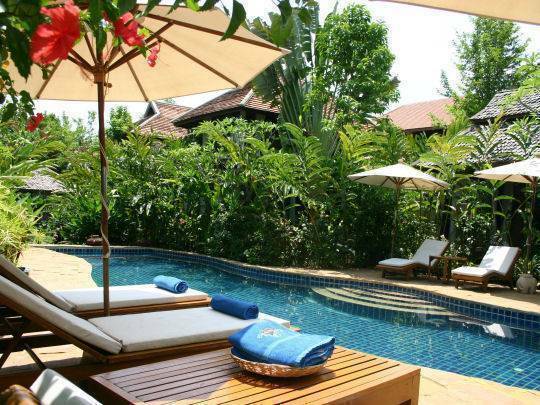 Ban Sabai Village Resort & Spa is perfectly located to benefit equally from all three, located just five kilometers from the busy city centre and its tourist infrastructure, yet peacefully hidden among pretty rice and vegetable fields away from the hustle and bustle. Daily free shuttle bus at 18:00 hours to the famous Night Bazaar area. 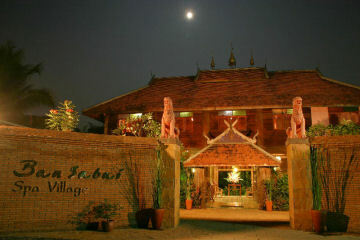 A range of activities and services are all equally accessible from Ban Sabai, including 10 golf courses and a huge selection of international cuisine at local restaurants, entertainment venues, night markets and shopping malls and soft adventure such as trekking, waterfalls and hot springs. 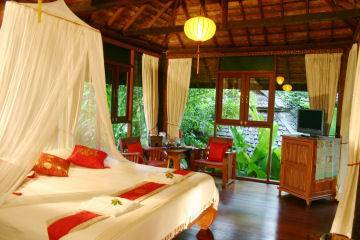 Lanna room	Our eight Lanna Rooms are located in two of our traditional Lanna Villas. 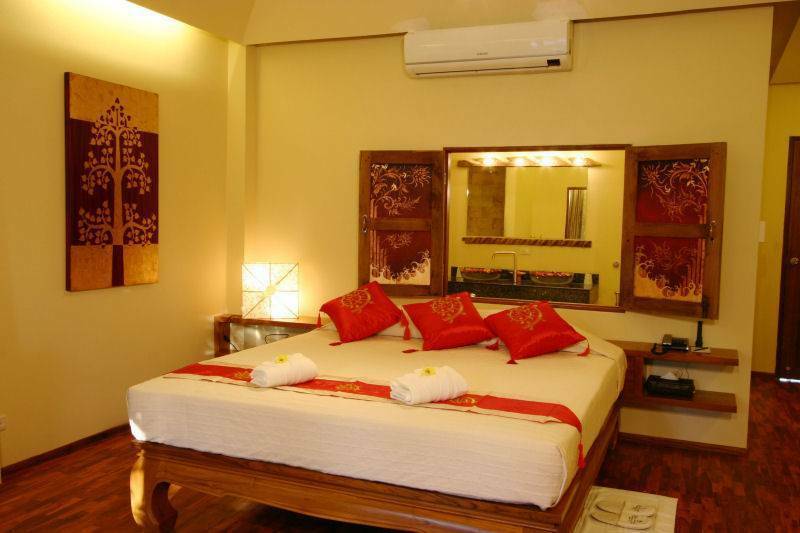 They all have a large double bed, a mini-bar, complimentary tea/coffee facilities, CD player, telephone, satellite TV, air-conditioning & fan, as well as a bathroom with bathtub separate shower. Surface approx. 30 sqm. Jacuzzi Junior Suite	Our new Junior Suites are furnished with double or twin beds, teak parquet flooring, Air conditioner, Fan, mini bar, complimentary tea/coffee making set, satellite TV, DVD, Stereo, lane cabling, Shower and separate Jacuzzi for two, connecting doors. Total Junior Suite size approx. 45 sqm. 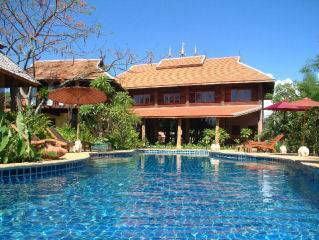 Lanna Spa Villa	Our five Lanna Spa Villas are two storey traditional Lanna houses. The ground floor area is open-air with both private sauna & steam room, as well as two treatment / day beds and a dining area. The upper floor has a large double bed, a mini-bar, tea/coffee facilities, satellite TV, CD player, telephone, air-conditioning & fan, as well as a large open-air bathroom with Jacuzzi for two & shower. Surface approx. 80 sqm. 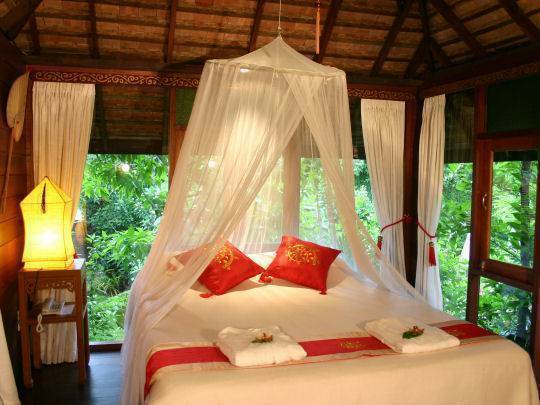 All the rates are non refundable.